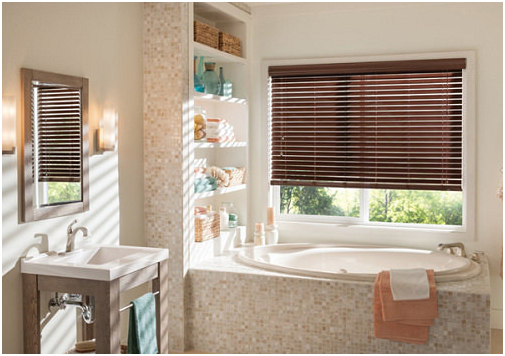 Bathroom windows are notoriously hard areas to dress well. It is essential to let as much light in as possible but at the same time, it is vital to maintain some privacy. This means it can be hard to find the right solution for windows in the smallest room of the house. Frosted glass is always a popular idea. This lets in the sunlight while still disguising the room to outsiders. You cannot see clearly through frosted glass and the frosting can be really attractive too, so you can achieve a private, well-lit and attractive solution for the window area. No window dressing is necessary thanks to the frosting, however, some people can still feel slightly exposed as you can still see shapes and colours through the glass. Some people do not have any windows in a bathroom and if you don’t want the hassle and expense of installing one, you could simply opt for artificial lights. Paint the walls a light colour and opt for a daylight bulb or a cool white bulb to get close to sunlight. You can also try ceiling lights, mirror lights, and floor LED lights for an ultra-modern look. Retro styles are also fashionable, so you could get some 1950s and 1960s lamps to add some retro vibes to your bathroom. 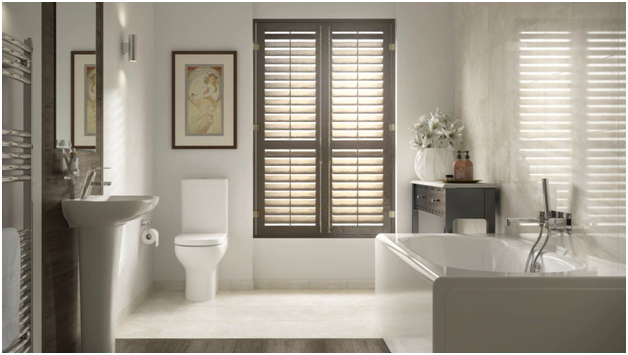 It is possible to use shutters on bathroom windows and waterproof shutters are particularly popular. This ensures you have total privacy while proofing the shutters against water damage, which can be a problem with traditional curtains. You can tilt the shutters to allow sunlight in without letting people outside see into the room. You can also close bottom shutters and only open top shutters to keep privacy and allow lots of light into the room. Regular blinds work in a similar way to shutters and you can also get them in waterproof fabric. For example, waterproof roller blinds by stockists such as http://www.ucblinds.co.uk/PVC-Waterproof-Roller-Blinds could be the ideal solution. Skylights can be a perfect solution to the issue of privacy and light in a bathroom if your building allows this option. Although the window is in a very private position, some people might still feel exposed with the window above them. They can also be costly to fit as they need to be fitted by a professional.